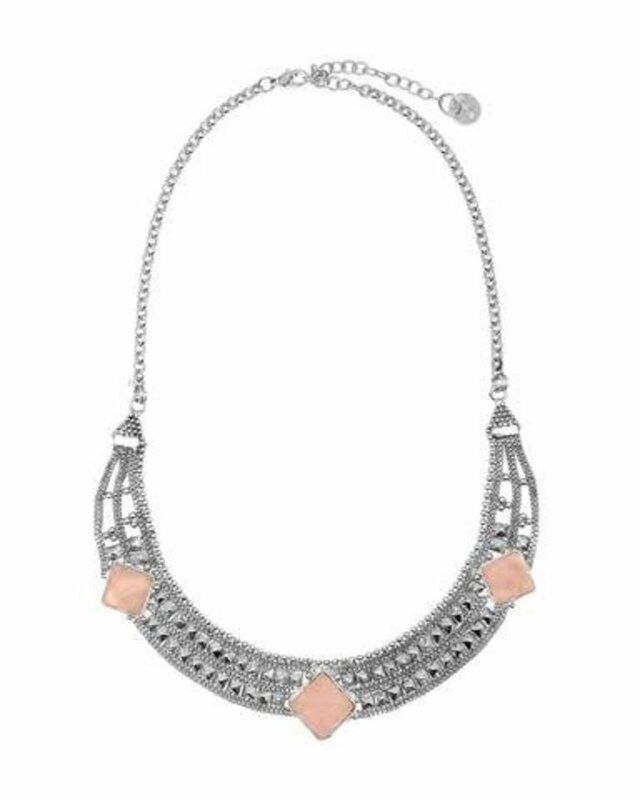 Indra, meaning supreme god, this necklace is worthy of its name. Designed and handmade in India by Sticks+Stones. 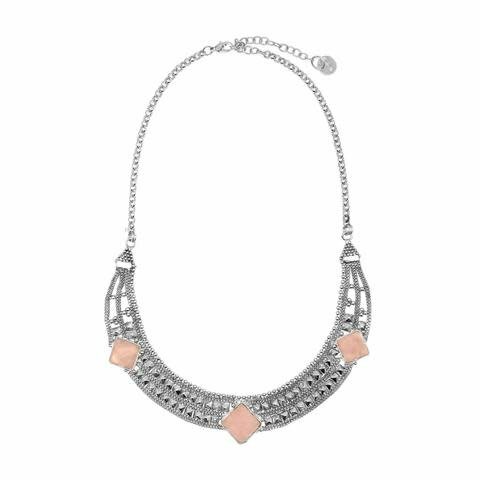 Restyled with rose quartz, the Indra adds an understated yet bold appeal to any look! Can be worn solo or stacked. Silver-plated brass and rose quartz. 9 x 7" collar, adjustable chain 12-18"